Warning: This story contains light spoilers. Comic book movies delight in showing super villains destroying the city — this summer’s ‘The Dark Knight Rises’ blows up bridges and ravages Federal Hall, while ‘The Amazing Spider-man’ will trash Midtown — and sometimes they even re-write history itself. In ‘Captain America: The First Avenger’, the title character, a resident of Red Hook, discovers underground government laboratories in downtown Brooklyn during World War II. Elsewhere in this Marvel Comics timeline, Moses’ World’s Fair of 1939-40 was such a smashing success that Tony Stark (aka ‘Iron Man’) turns the site into a year-round glittering expo of technology! 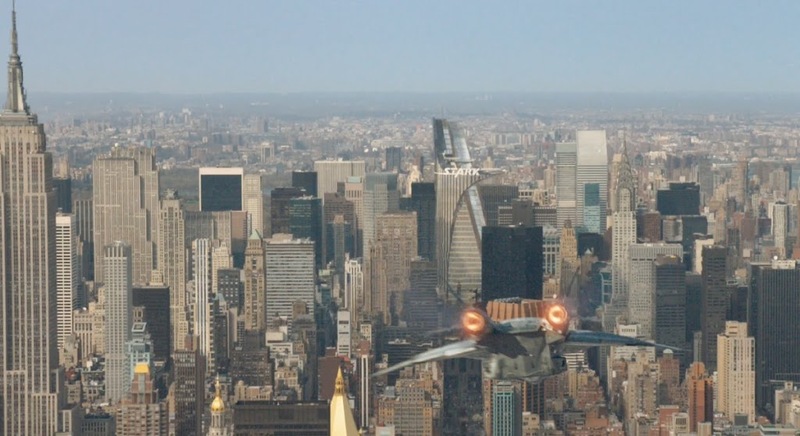 The latest Marvel adventure ‘The Avengers’ takes a more proactive approach to revising the city landscape, as though the entire film was a surly New Yorker architecture critic. But one famous New York building is notably missing from these shenanigans. 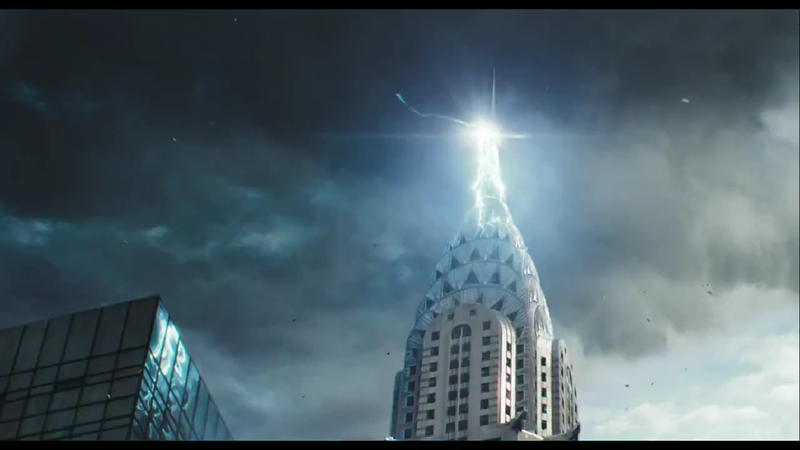 Stark, played by Robert Downey Jr., has constructed an energy-efficient new supertower for Stark Industries right on Park Avenue itself. To build this, he has clearly gotten permission from the city to methodically dismantle the MetLife Building (the former Pan Am Building). 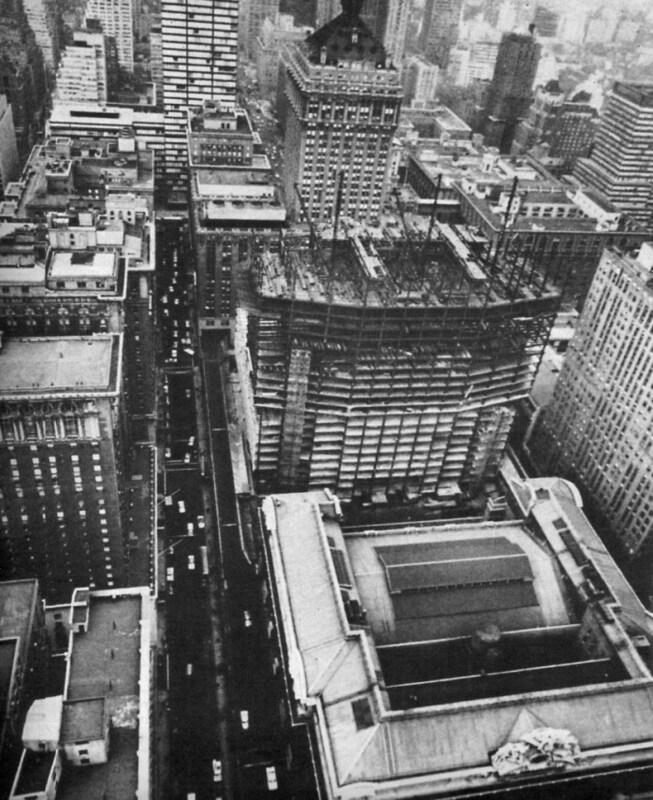 The filmmakers have specifically chosen not to merely erase the MetLife Building, but to specifically display it being taken apart. The building is shown greatly reduced in height, decorated with cranes disassembling it like a tinker toy. Its broad-shouldered silhouette calls a halt to Park Avenue in a dated style that hovers between two Beaux-Arts structures (Grand Central to its south, the Helmsley Building to its north). 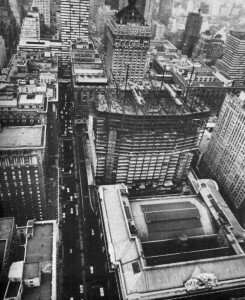 Yet people blame the building for somehow ‘ruining’ Park Avenue — when the two other structures already blocked it — and its sly octagonal shape today makes it one of New York’s more interesting Brutalist-style examples. Modernism happened, and if you use the same criteria that we might apply to other treasured New York structures, then the MetLife Building is a unique and exemplary building. But can you ever imagine a time when the MetLife Building might ever be landmarked? This is what I was thinking while Thor and the Hulk were tearing into alien lifeforms. 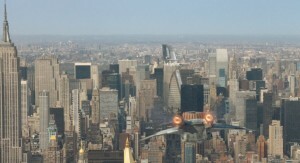 But ‘The Avengers’ isn’t entirely disrespectful of architecture. In fact, the Chrysler Building is practically fetishized as an ideal view from the newly built penthouse of the Stark Building. 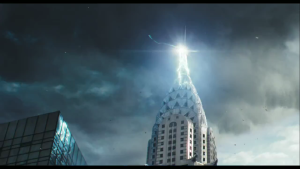 Its antenna spire, which makes it New York’s fourth largest building, is even utilized by Thor in the battle to save the Earth. William Van Alen, the building’s architect, would have been quite amused. This very spire was hoisted to the top of the structure from within the building itself in October 1929, a surprise accessory that allowed the Chrysler to take the title of New York’s tallest building from 40 Wall Street. For more information on the controversies surrounding the MetLife Building, check out the ‘illustrated’ version of our podcast (Episode #61). Download it from iTunes or directly from here.